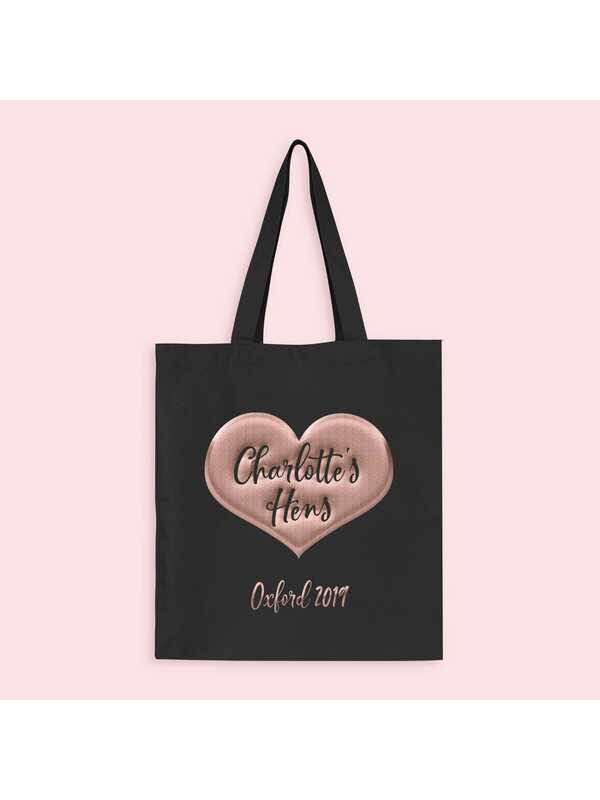 Showing our 2 Hen Party Superstore Rose Gold Heart Personalised Hen Party Tote Bags reviews with an average rating of Excellent. Would you like to write a review? I am so impressed with the service from hen Party Superstore. I ordered these personalised bags for a friends hen do V short notice (3 days before the hen party) and even though I paid for next day delivery I was really very sceptical that they would arrive on time but they did! The bags are excellent quality and the Bride to be was very impressed too! My tote bags have arrived and all I can say is wow! They're a beautiful quality and they look so sleek and stylish! Everyone is going to have a lovely treat on the hen do. Thank you!